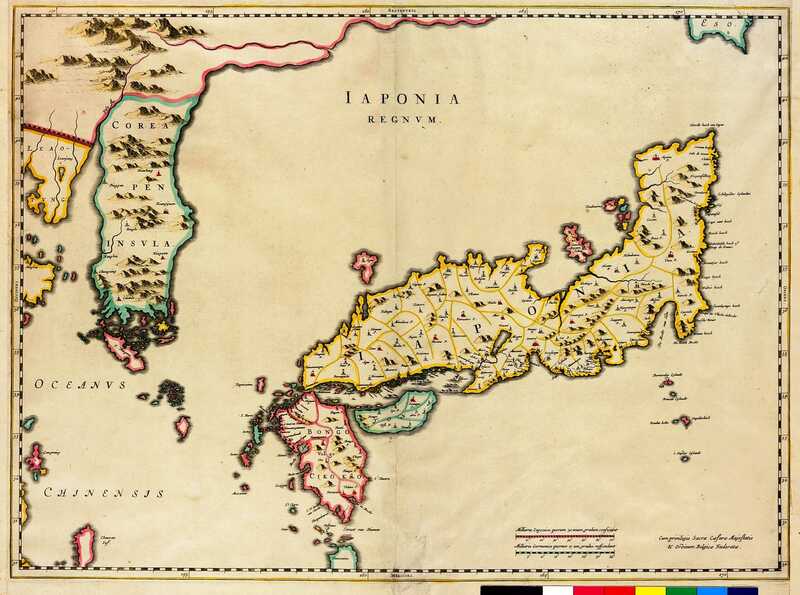 The first Japanese map of the country is said to have been made by the Buddhist Monk, Gyôki (668-749 CE). 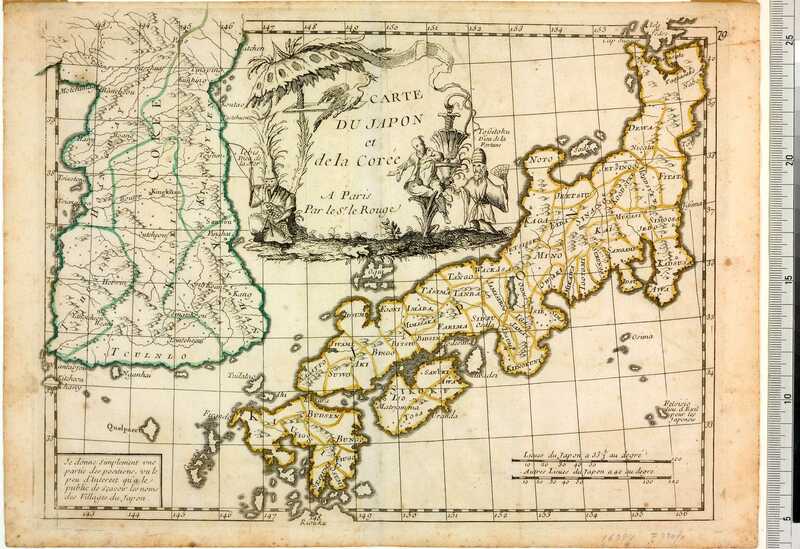 Although scholars now dispute this theory, these distinctive first Japanese maps are still called ‘Gyôki maps’. 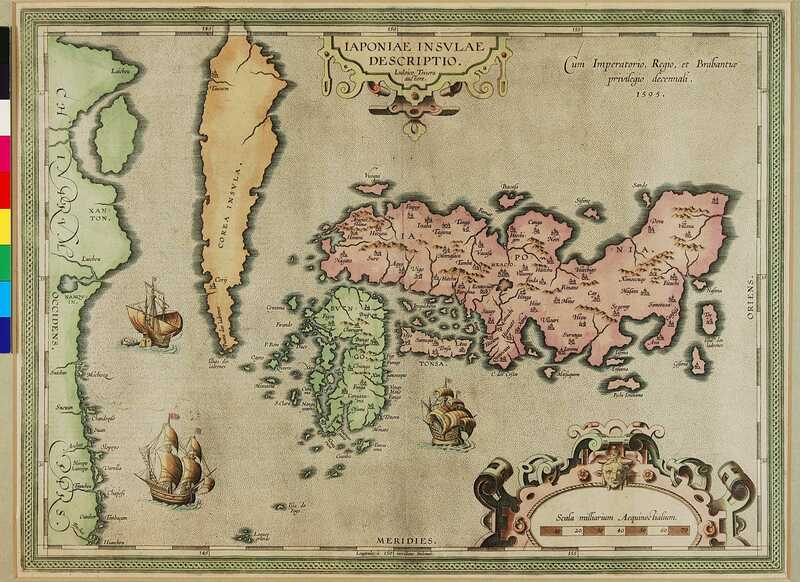 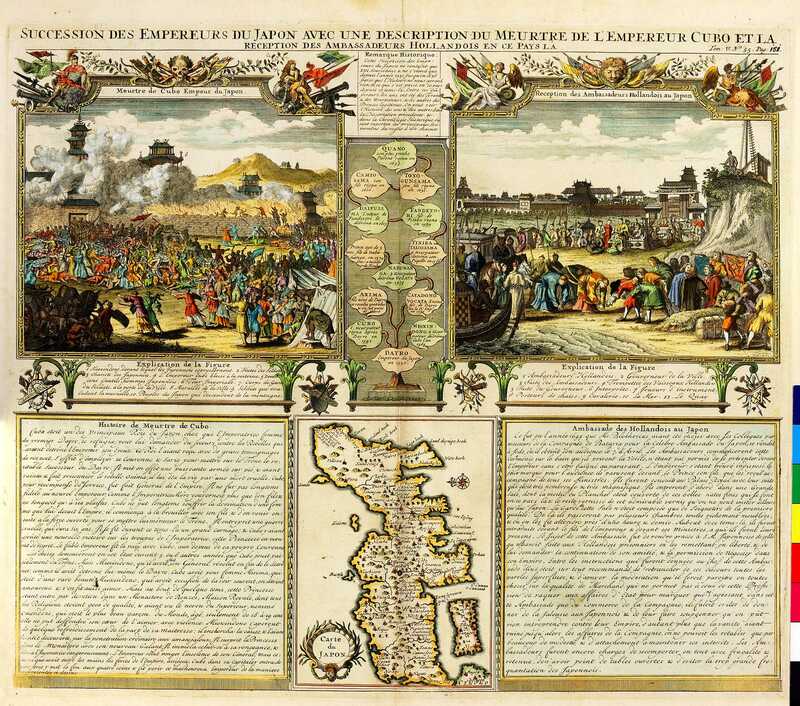 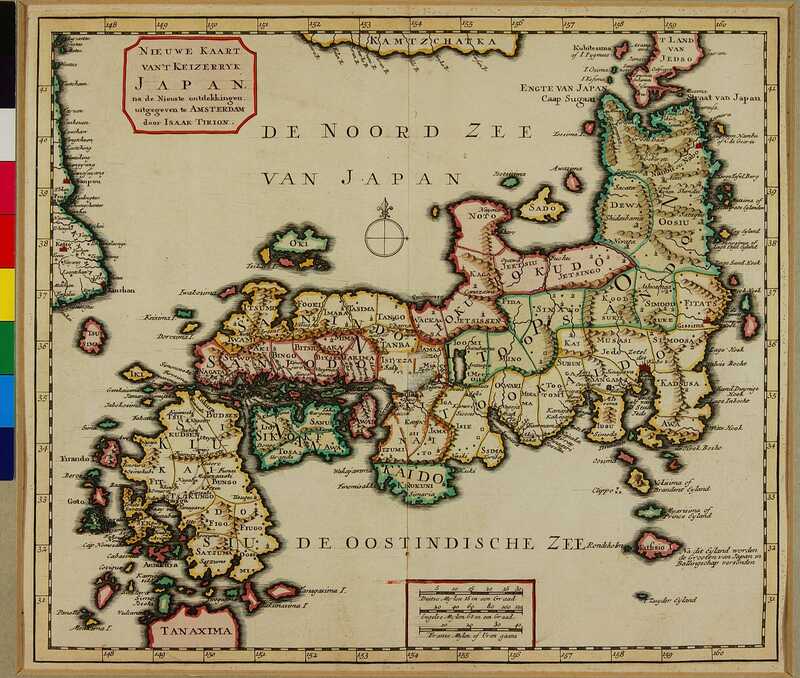 The first maps of Japan made in Europe used these ‘Gyôki maps’ as reference. 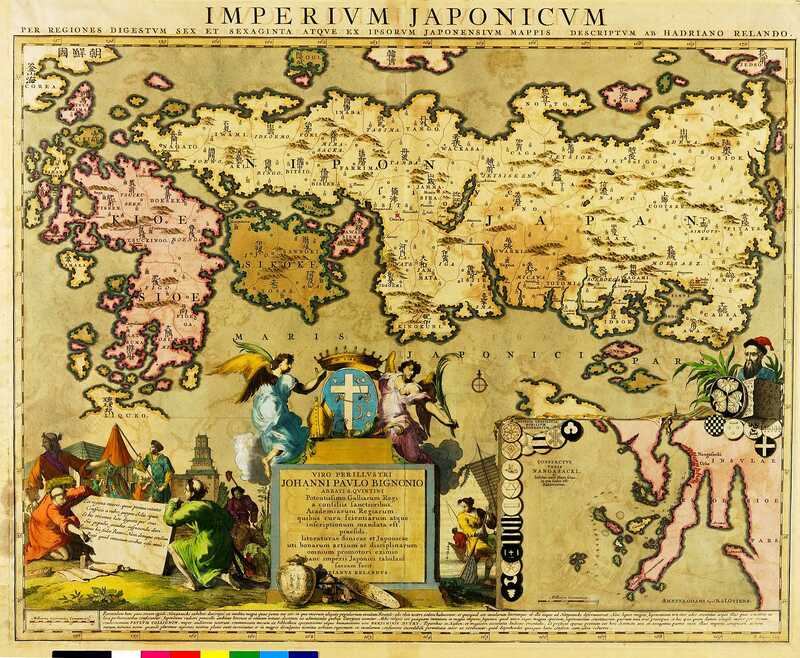 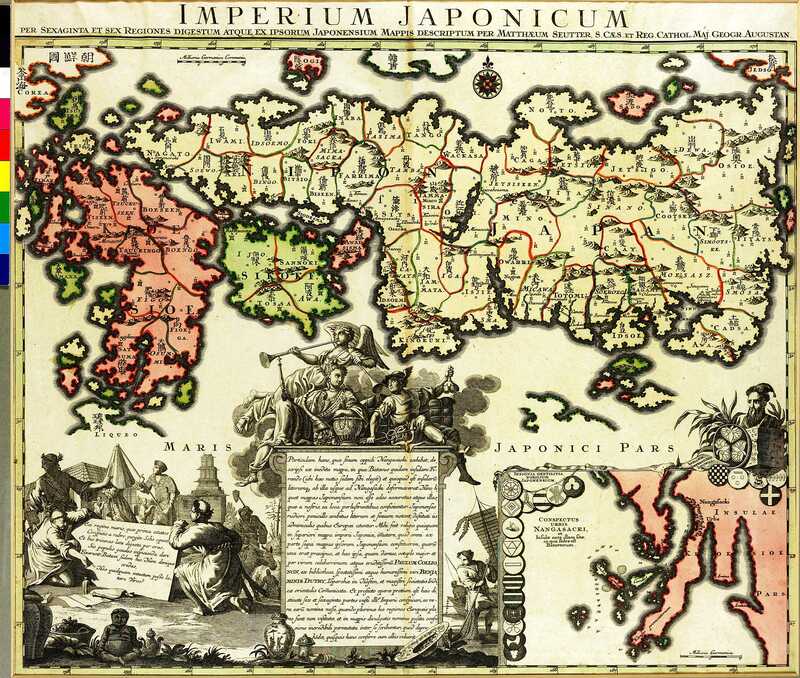 Using these as a starting point, it is possible to see how European maps of Japan developed. 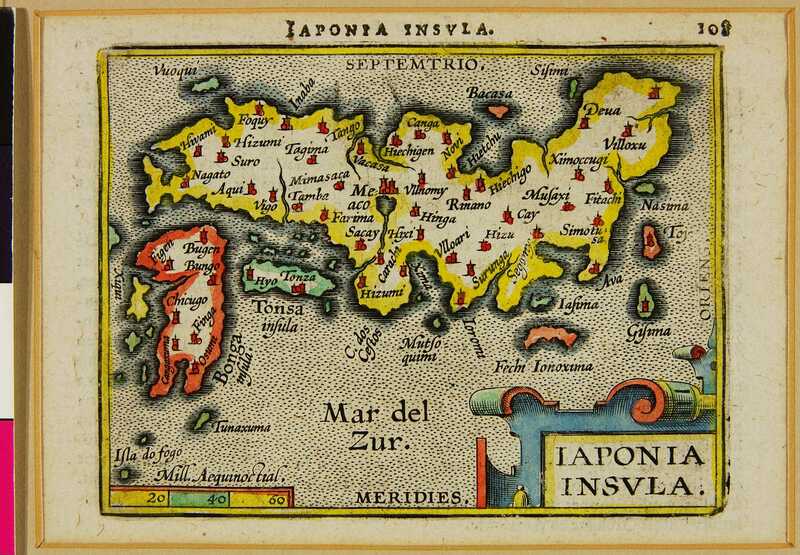 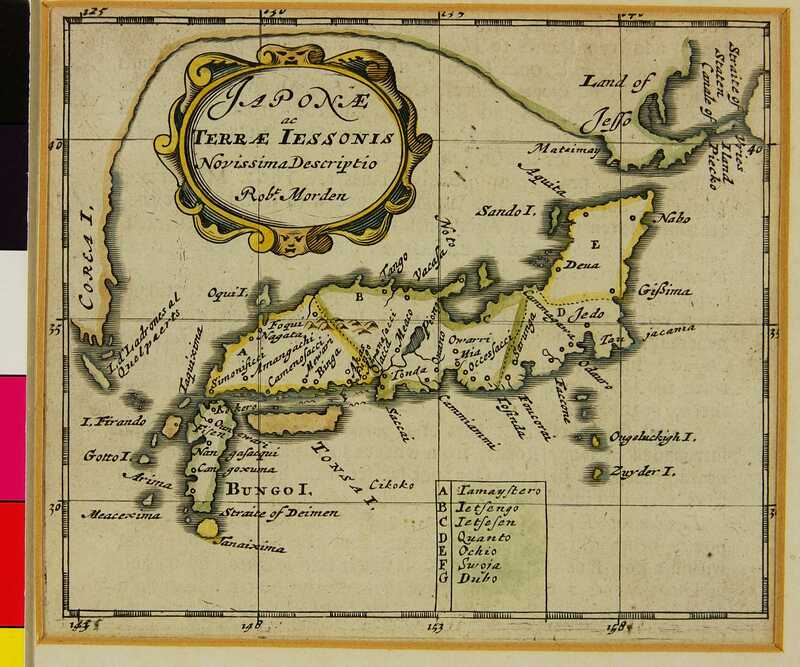 Gradually, over time, a fuller more accurate picture of the archipelago emerged as Hokkaido, the north-east Tohoku region, and all the Izu Islands were added.